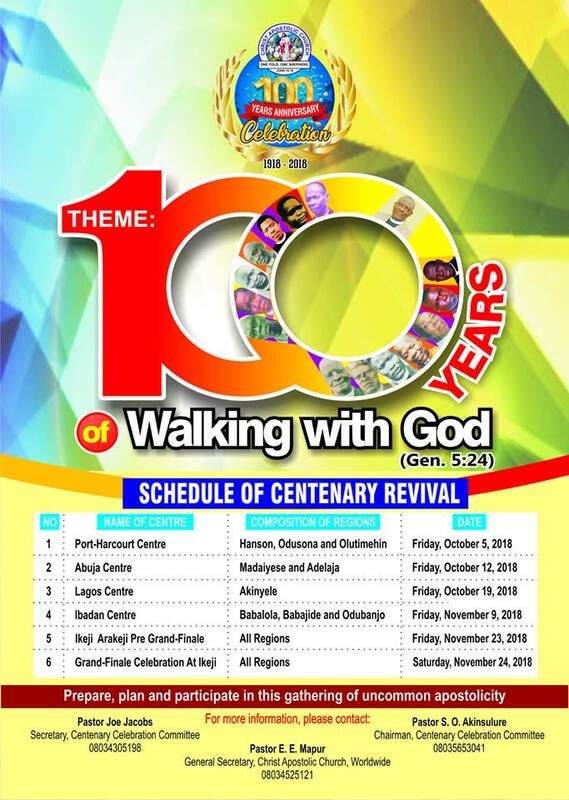 It was indeed a celebration of 60years of walking with God at the Diamond Jubilee of Christ Apostolic Church, Temidire Onajimi Zonal Headquarters, Lagos on Sunday December 2nd, 2018. Despite thick and thin, CAC Temidire Onajimi Zonal Headquarters is still waxing stronger since the last 60years. The Zonal Superintendent of CAC Temidire Onajimi Zone, Pastor Ayo Daramola while delivering his welcome address said that he and his family are glad to be part of the 60th anniversary celebration of the church. Pastor Ayo appreciated God, noting that the train of the church is on the move and as at present it has gained good momentum. He added that part of the momentum has brought Temidire Zonal Headquarters to this great occasion of the 60th celebration. “I want to appreciate the wonderful roles of all the Pastors, Elders, Deaconesses, Youth, Choir, Usher, the Evangelical Group for their soldier like spirit in talking the church, the district and the zone to a greater height. 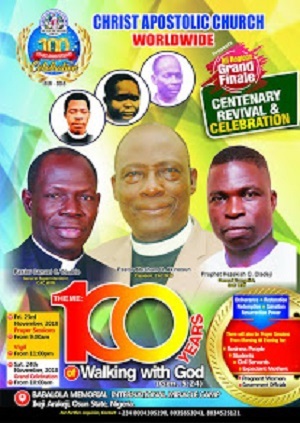 I give God the glory who preserved our lives to witness this great occasion. It is my prayer that His mercy and blessings shall not depart from the life, family and ministry of each and every one of us until we reach the glory land in Jesus name,” he disclosed. The Regional Superintendent of CAC Akinyele Region Pastor M.O. Yusuff in his goodwill message to CAC Temidire said that he is part and parcel of Temidire assembly who is a sister church to CAC Igi Olugbin the assembly where he said he gave his life to Christ and became a member of CAC. “I am so happy at the progress and development that has taken place through these years, especially your ability to rebuild the sanctuary to become a modern structure and your attainment of a Zonal Status in CAC Worldwide. I charge you not to relent in your efforts but to continue the propagation of the gospel of our Lord Jesus Christ to all and crannies of our land through aggressive evangelism and church planting. It is my prayer that the Lord will release more grace and blessings upon the church in the years ahead and prepare you by His Spirit, a ready bride for His second coming in Jesus name,” Pastor Yusuff stated. The anniversary was attended by big personalities which include Olu of Ilaro & Paramount Ruler of Yewaland, Alayeluwa Oba Kehinde, Gbadewole Olugbenle who was the Royal Father of the Day. It was gathered that Alayeluwa Oba Kehinde rose to the position of the king while as a member of CAC Temidire.